mailing list subscription, and other inquiries. "Video gambling addicts, academic researchers, and industry professionals alike describe the trancelike state into which problem gamblers suspend themselves with remarkable consistency: they unanimously call it the machine “zone”, a kind of inner experience during which the rhythmic flow of human-machine collusion borders on mysticism. Time is abolished in the act of contemporary video gambling―simulated slot reels roll, virtual poker decks deal, and all worldly concerns are lost―leaving only the aura of total zone immersion in its wake. Sometimes characterized as the crack cocaine of gambling, the intensity of the machine zone is a symptom of casino ergonomics: oxygen-saturated pleasure air, subtly controlling walkways, mesmerizing lights, and, as captured here, meticulously engineered sonic environments all play a role in evoking the timeless void of the zone. Although I was not yet aware of the extent to which casinos tailor their environments for maximum comfort (and, correspondingly, profit), I did know as I crossed the threshold of my first casino floor earlier this year that it would not be my last visit. Hit by a cornucopia of slot machine tones, triggering aleatorically and coalescing into shimmering masses, I was struck by the need to return and record the sounds that so entranced me. 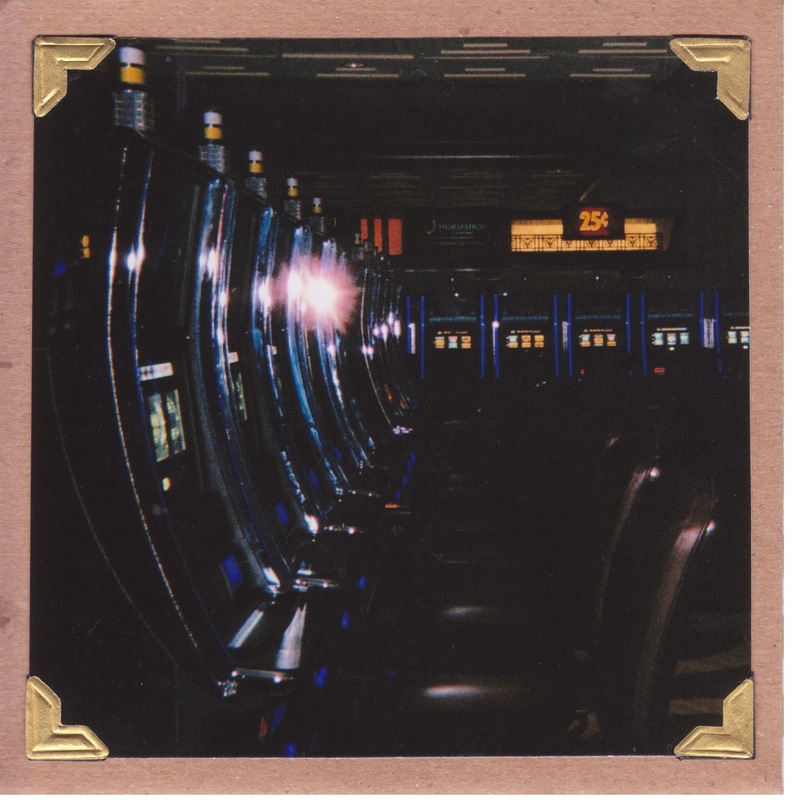 It wouldn't prove to be easy―casino security is intense (you can hear me get warned of the consequences of taking photos at the beginning of the disc's second track)―and due to the clandestine nature of the operation, my recording techniques were by no means sophisticated. Equipped with nothing but an Olympus LS-11 recorder's internal microphone stashed in a sweaty coat pocket, I allowed the lure of the zone to guide me through a series of ambling recording sessions over a period of four months, the best of which are included here. I learned a lot about casino sonics in the process: game designers, for example, tune their machines to the key of C in order to optimize harmonic cohesion; one team of designers, the story goes, even spent a month perfecting a single 'ding' sound on one machine. 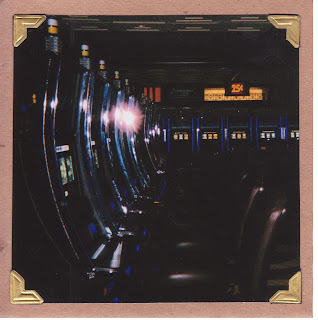 In the interest of preserving the true ambient sounds of the casino these recordings are completely untreated, but lost in the sea of chance I did exert some affirmative control by means of meandering intent and my actual playing of the machines. And by participating in the games myself I got a taste of the financially debilitating consequences that accompany the enchantment of video gambling. The disc in your hands represents my endeavor to bring you the zone experience without the harsh comedown of its unfortunate reality." "the din of slots in unison, which should be a world-class cacophony, is mellifluous, even seductive; it doesn’t take a genius to liken this to church music. But for their ambient beauty, Rew’s soundscapes are inescapably tragic, all the more so when human voices bleed through." "one of the rare [field] recordings with a precise polemical thrust, an eloquent constellation of supporting ideas, and ... a laser beam focus on the strangest corners of the modern world"
"Adrian Rew's name deserves a place of honour on any list of sound recordists for his recent work"